Safety & Emergencies | Conference Services, U.Va. Don't loan your key or access card to anyone. Don't prop open the doors to the residence hall or let in non-residents, even if they look like students or staff. Ask all workers who want access to your room to show you their ID. 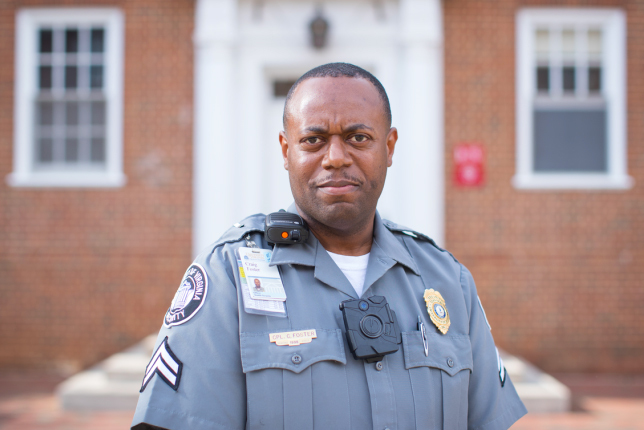 Most Facilities Management staff and Conferences@UVA staff wear uniforms to help readily identify their affiliation. All University faculty, staff, and contractors are required to have photo ID. Report all doors, locks, windows, or lights in need of repair to Conferences@UVA. Report lost keys or access cards to Conferences@UVA immediately. See our Lockouts and Lost Keys page. Report any maintenance requests to Conferences@UVA as soon as possible at 434.924.4479. You will not be charged for any needed maintenance.